The sixth edition of The Gendered Society explores current thinking about gender, both inside academia and in our everyday lives. 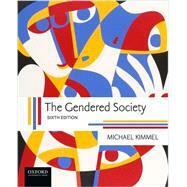 Michael Kimmel challenges the claim that gender is limited to women's experiences--his compelling and balanced study of gender includes both masculine and feminine perspectives. Kimmel makes three bold and persuasive statements about gender. First, he demonstrates that gender differences are often extremely exaggerated; in fact, he argues that men and women have much more in common than we think they do. Kimmel also challenges the pop psychologists who suggest that gender difference is the cause of inequality between the sexes; instead, he reveals that the reverse is true-gender inequality itself is the cause of the differences between men and women. Finally, he illustrates that gender is not merely an element of individual identity, but a socially constructed institutional phenomenon. Michael Kimmel is Distinguished Professor of Sociology at Stony Brook University, The State University of New York. A leading researcher and writer on gender and men and masculinity, he is the author or editor of numerous books and articles including The Gendered Society Reader, Sixth Edition (with Amy Aronson, OUP, 2016), Sexualities: Identities, Behaviors, and Society, Second Edition (with The Stony Brook Sexualities Research Group, OUP, 2014), and Manhood in America: A Cultural History, Third Edition (OUP, 2011).